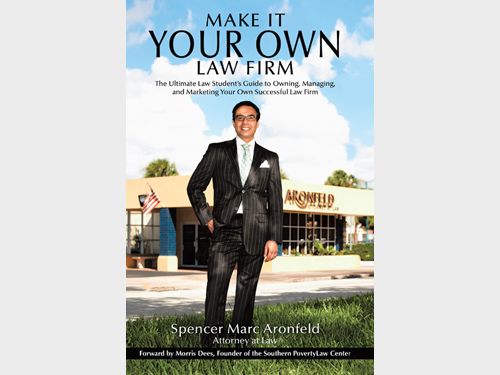 Spencer Aronfeld writes a personal and revealing account on how to start your own law firm. 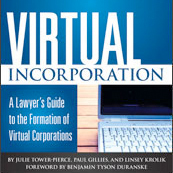 Whether you are in law school, recently graduated or a practicing attorney thinking of establishing your own law firm, this book provides a step-by-step road map. Aronfeld started his own law practice upon graduation from law school. He provides practical advice that will enable anyone with a deep passion to practice law to become the lawyer that they always wanted to be. Learn more and purchase the book. *Please contact vendors directly for customer service. I’ve had the good fortune of speaking with Spencer Aronfeld three times, once in a lengthy and very informative teleseminar you can listen to here: http://solopracticeuniversity.com/2011/06/21/savvy-solos-with-spencer-aronfeld/ The teleseminar is incredibly inspirational. 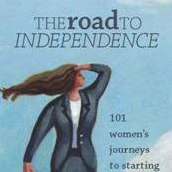 Spencer has written a book geared for the law student who is contemplating solo practice. The best part of Spencer’s book is his reflection on his journey from law school to hanging a shingle upon graduation in the mid 80′s until today. His reflection encompasses everything most attorneys experience but won’t share…at least not on paper…the passion, the burnout, the pride, the mistakes and the victories. While a little light on the practical day-to-day how to, it is strong on sharing wisdom learned and how to avoid common mistakes that can get you in a heap of trouble. It is definitely worth a read if you are contemplating solo practice. The Solo Practice University® COOP is a showcase of products and services for solo lawyers.